Before I start talking about Philomena, for anyone interested in my full review of Dallas Buyers Club it is now up on Curiata.com. And if you’re not following Curiata.com yet on Twitter or Facebook you should be. You can find more reviews from the Curiata.com staff here. 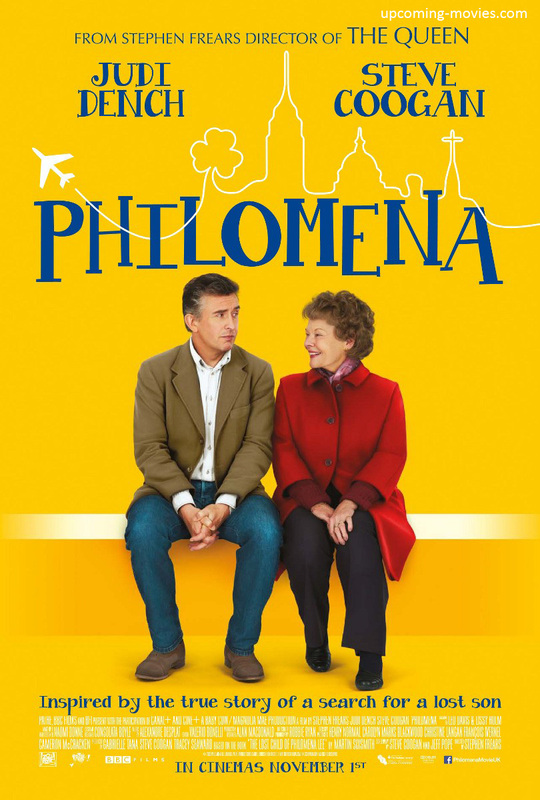 Philomena is a beautifully human story of loss and forgiveness. As a teenager, Philomena was sent to live in a convent when she became pregnant and then had to work off her debt to nuns. Her son Anthony was then adopted to an American couple. Philomena keeps silent for 50 years before opening up to her daughter, who then shares the story to a former reporter, Martin. From there Martin and Philomena embark on a journey to find her son. Judi Dench’s performance in this film is absolutely wonderful. I’m used to seeing her as strong, confident women – such as M in the James Bond films – so the role of Philomena was a definite contrast. However, she completely embraces the role and becomes Philomena. I had been rooting for Meryl Streep to win the Best Actress category, but now I think Judi Dench deserves the award as well. I’m not sure Philomena has a chance at Best Picture, but I would love to see it win something. Favorite Moment: There were a lot of great moments in this film. One of my favorites was Philomena’s enthusiasm for the hotel’s breakfast bar. I also loved listening to her describe the novel she had just finished to Martin. Stay tuned later this week for my predictions for the winners of the main categories!